We love living in a small space. In fact, we are happier with less stuff now than we ever have been. Which is why the accumulation of more stuff can be that much more frustrating. I arrived home from work and several packages from Amazon greeted me at my doorstep. They contained boxes within boxes of our assorted monthly subscription supplies: Lara Bars, Vega Protein Powder, RV septic tank treatment, a socket for the new wrench needed to put the sway-bar tow-hitch receiver together... you get the picture. There was plastic and cardboard everywhere. And it stressed me out. People ask us constantly if we have experienced any negatives associated with our tiny home. The lifestyle is amazing. 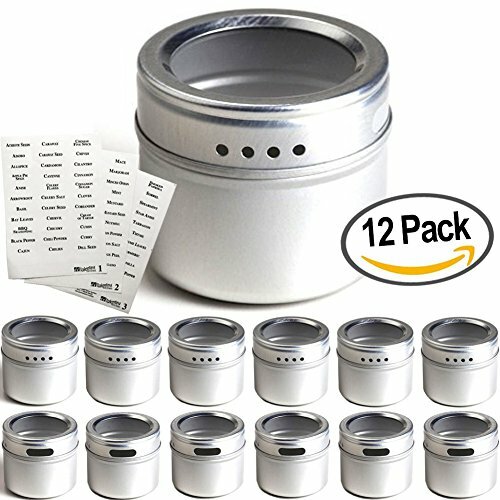 I don't mind dumping a black or grey water tank. I don't mind hearing the rain on my roof when I'm laying in bed. And I definitely don't mind being invited to a neighbor's patio barbecue while watching the Texas sun set every night over the water. However, it can be a tiny bit frustrating moving around in such a small area when numerous just-in-case things keep creeping into your life, ever so insidiously. "Stuff" accumulates much more quickly in the Airstream. A book left out, a well-meaning novelty gift from a friend, a stray pair of underwear, or dirty dishes-- once small eyesores in a big open Texas apartment-- now become ugly red boils on the otherwise perfectly pristine face of the silver bullet we inhabit. There are positives to this situation as well, because less room makes clean up SO much easier. I vacuum in a span of 6 minutes, clean the bathroom in 3, and have time to roll up all of the laundry (AND put it away) all in the span of a quick half hour. But, being a semi-anxious type-A Virgo, I tend to need a calming, clean, and visually pleasing environment in order to fully relax. Plus, I honestly feel that subscribing to a minimalist lifestyle is better for our overall well being as a culture. One of the best ways I've found to simplify the small space is to simply say "NO". Learning to do this has worked wonders. No, we don't need another dish set. No, we don't want a wireless printer. No, Asher doesn't need any more dog toys... (ok, so maybe we caved on that one). But, I also realize that there will always be purchases that we need to make. We just have to make them count, and they need to be meaningful. As a result, I really like to stick to purchasing items that encourage the values that I love: sustainability, cruelty-free production, minimalism, organization, and appealing design. Just because we've minimized our life doesn't mean that we have to own ugly things. On the contrary, I feel as though owning less "things" has made it easier to choose beautiful goods to keep around. I found out about Corature on a whim while scrolling through Instagram, and was honestly surprised at how affordable their items are. I also really admire the company itself: It's veteran-owned, based in the United States, and has sustainability at the core of its mission. Minimizing the items you carry on your person (such as wallets and bags) can ease any unnecessary time spent looking for things amidst things you probably should have gotten rid of to begin with (I'm looking at you, receipts!!). I love their minimalist wallet and wristlet, and plan on doing a beach swag bag giveaway soon with my favorite item of theirs-- the gorgeous cork tote! I've used the wristlet for a few months now, and it seems to be nicely resistant to water and dirt, both of which I surround myself with frequently. To check out their bags and/wallets, click the affiliate link above, or use the photo link at the bottom of the page! 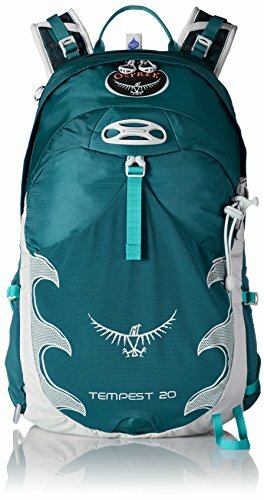 Without a doubt, Osprey is the best in backpacking. When we went on a 3-week trip to Scandinavia last year, we literally beat the crap out of our brand new bags, and they welcomed the challenge. Now that I travel to and from the operating room, I need to have a reliable/stylish/organized means of transporting essential items (a change of clothes, stethoscope, pens, markers, laptop, wallet, earbuds, water bottle, etc.) and my Osprey day pack does this with ease. When minimizing, try to invite items into your life that can easily serve a dual purpose. This has really helped us decrease clutter and stick to a meaningful budget. The packs pictured below are the two that I own. The pack to the left is for multi-day treks, and the right is used for day hikes to carry just the right amount of water, food, and a quick change of clothes. The pack pictured is the larger multi-day hiking pack that we used throughout our Scandinavia trip. We got sized for ours in-store and used gift cards to purchase online. For organizing our spices, I use these containers I found at the Container Store. We love to cook at home and really couldn't part with any of the amazing international flavors we've gotten used to tasting over the years. Spices are seriously a game-changer when it comes to food! That being said, I found great value in the stylish space-saving spice rack that now lives conveniently on our refrigerator. I found myself wishing we had bought one of these a long time ago! I love love love to cuddle up into a blanket whilst sitting on the couch. Or outside on the patio watching the sunset (you've seen our Instagram, right?). I get cold pretty often, but I had no idea how to minimize the enormous amount of blankets we kept in our old apartment. I counted. We had TEN decorative blankets in our old house. TEN! When I was searching for a replacement, I honored the principles of dual-purpose, lasting quality, and gorgeous design, and fell in love with The Beach People Roundies. What I love about them is that they're super thick, absorbent, and HUGE, so that I can use them as decorative throw blankets, beach towels, a bedspread, and couch-protectors against Asher's claws. I know that I've belabored this point incessantly, but one good chef's knife will change your world in the kitchen. 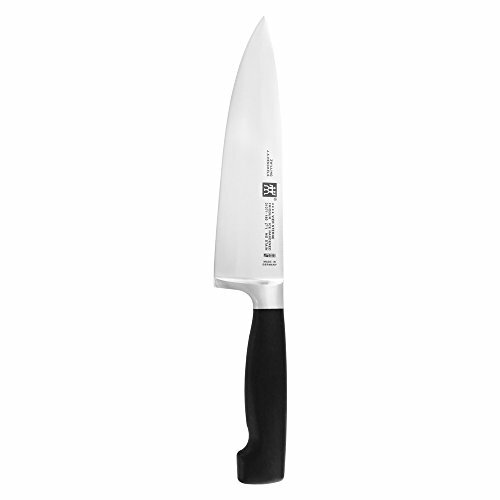 The J. Henckels Chef's knife in our kitchen gadgets shop made minimizing our kitchen one of the easiest tasks we were able to accomplish. I don't have a huge ugly knife block on top of my small countertop, because ONE knife is more than enough to get by with, if maintained properly. It's multi-purpose, sharp as hell, and lasts forever. Minimizing your life takes time, and patience. It took us months to give away or sell most of our belongings. But as new items make their way into your own space-- large or small--by way of necessity or pleasure, know that sometimes, less really is more.